Lego Star Wars, état, diverses parties, 8.150 kg comprend 75155,7965,75172. 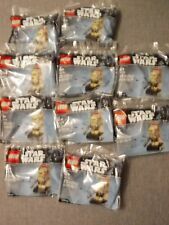 Lego Star Wars, joblot, Various parts, 8.150 Kilos of Lego, includes 75155 Rebel U-wing fighter, 7965 Millenium Falcon, 75172. Lego is Used, but in a good condition. as can be seen in the photos,s old as seen. Huge LEGO Bundle Job Lot. 3 boxes piled on the right in the second photo are just empty boxes (no Lego). Plastic Tupperware tubs are not included. Follow tommyzippo for more LEGO, collectibles and much more - listed daily. 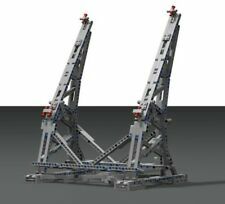 Lego set 7778. 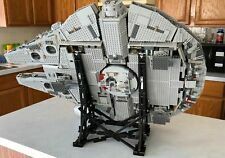 Millennium falcon. Excellent condition. No box. All parts included. Lego Disney Star Wars Luke's Landspeeder 75173. Batman and Robin are holding Poison Ivy at the Batcave. Help Batman and Robin put Bane back behind bars where he belongs. • Batcycle features dual flick missiles. • Bane's drill tank features spinning drill and dual flick missiles. Star Wars. Poe's X-Wing Fighter. was released in 2016. A great addition to your Star Wars collection. Star Wars Lego Sticker Sheet. 1 Kilo of Genuine Star Wars Lego taken at random from a large lot. This lego lot is in excellent, but used condition. Colour: BLACK. 2 X Lego 4151 Plates 8x8 with Mesh & Centre Hole Dark Grey. Colour: REDDISH BROWN. This lot is in excellent, but used condition. Need More Lego?. If there are particular pieces that you're trying to find then let us know and we'll see if we can help. It would be useful if you could included a part number and/or a set that it was included on. 8028 Star Wars - TIE Fighter. Lego Polybag. New and sealed. Each lot of Lego can contain bricks and pieces from many various Lego lines. E.g. City, Creator, Elves, Friends, Star Wars, Technic, Wizarding World (Harry Potter), Disney, Marvel, DC Comics, Bionicle, Pirates, Racers, Toy Story, Etc. BROWN, CREAM BEIGE MIXED PIECES LARGE BUNDLE. The main picture/picture one shows a good selection of our bags weighed up, however the other photos are of the large pile of Lego just before it was weighed and bagged up in to 500g bags. 500G BAGS OF LEGO FRIENDS BRICKS. 4 x 8 PLATE USED. REST OF THE WORLD £4.20. MODIFIED BRICK USED. REST OF THE WORLD £3.90. Lego Brigh Orange Yellow 2 x 2 x 2/3 Curved Slope Brick Plate x10, despatched in a Zip Lock Bag. New from set 75206. Jedi Master Ki-Adi Mundi. WEDGE PLATES, IN USED CLEAN CONDITION. REST OF THE WORLD £4.20. Lego Disney Star Wars Duel On Naboo 75169. Lego Star Wars/ Batman Polybag Set bundle. All Sets are complete with their Instructions in VGC. Sets Include. 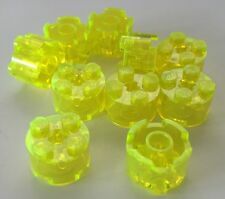 Lego Part Number 41747px16. 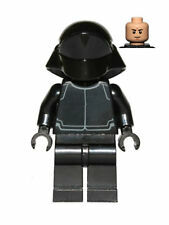 Lego Part Number 41748px16. Wedge 2 x 6 Double Right with SW ARC-170 Pattern in White x1. Wedge 2 x 6 Double Left with SW ARC-170 Pattern in White x1. Need More Lego?. Pieces are in average to good played with condition. Lots may have general wear and tear including small amounts of fade, slight colour variation, bite marks and scratches, but nothing too bad unless a worse condition is specified in the title. Set is New & Sealed. 3659 Brick, Arch 1 x 4. Dark bluish grey. NEW SEALED LEGO 40290 60 YEARS OF THE LEGO BRICK SET And 40178 VIP Store Exclusive. Both sets included. Lego Part Number 30602. Slope Brick Curved Top 2 x 2 x 1. Classic Lego. Need More Lego?. you must do this before raising a case. If there are particular pieces that you're trying to find then let us know and we'll see if we can help. It would be useful if you could included a part number and/or a set that it was included on. 5 x white LEGO 1 x 2 bricks with grille. Large mixed bundle of Lego. 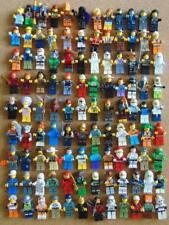 Over 100 Lego people. In great clean condition. 75909 RRP £30.98. 75087 RRP £51.69. 75035 RRP £25.99. 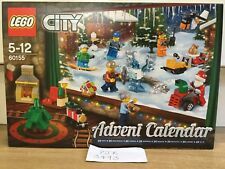 75032 RRP up to £61. 60095 RRP £149.99. 28 Minifigurines Star Wars ( Dark Vador, Kylo Ren, ..) + 1 vitrine (26x12x17).